LONDON: Jammu & Kashmir Liberation Cell (UK Chapter) has criticised the detention of its leader Yasin Malik in Srinagar and termed the government reasons for the detention as unfounded and baseless. 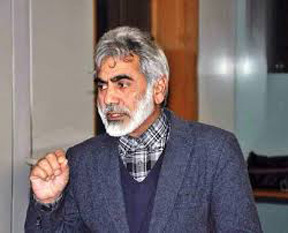 In a 30-point letter, by Professor Zafar Khan (Head of Diplomatic Bureau, JKLF) and addressed to five organisations on March 20, it is claimed that J&K Government has made JKLF leader a target of its arbitrary action and he has been deprived of his human rights. He demanded that Yasin Malik must be released from detention and allowed to exercise his fundamental democratic right, to engage with the international community as well as with India and Pakistan, for a free, fair and democratic process for a lasting resolution of the seven decades old Kashmir dispute. The letter has been sent to British Foreign and Commonwealth Office (FCO) in London, UN-OHCHR in Geneva, Indian Desk, Amnesty International, London, Ms Myrto Tilianaki, Human Rights Watch, London and Debbie Abrahams MP, Chair of the All Party Parliamentary Group (APPG) on Kashmir. Citing the prevailing situation in J&K, Prof Zafar Khan urged the UNSC to take real cognisance of the situation in Kashmir, and ensure that the Indian government is not allowed to label popular leaders like Yasin Malik as a “problem,” which Indian authorities have attempted do in the ludicrous charge sheet, to justify his detention under the PSA. He said that Yasin Malik and other Kashmiri leaders and activists detained under PSA, among whom are also included many JKLF functionaries, must be released, and allowed to engage with their fellow Kashmiris throughout Indian occupied Jammu Kashmir. The JRL including Yasin Malik, must be allowed with active UN support, to engage with the outside world, including with India and Pakistan, for a peaceful and permanent resolution of the Kashmir dispute under UN supervision and control. “This is the only way forward to ensure that Kashmir becomes a bridge of peace and prosperity with a permanent solution; and not a bone of contention in the region. Helpless and defenceless people of Kashmir, seek partners for a peaceful settlement of the more than seven decades old dispute that has blighted their lives, and jeopardises permanent peace in the sub-continent”, JKLF leader stressed. Meanwhile, JKLF-UK held a demonstration outside the India House in London and demanded immediate release of its leader Yasin Malik in J&K.